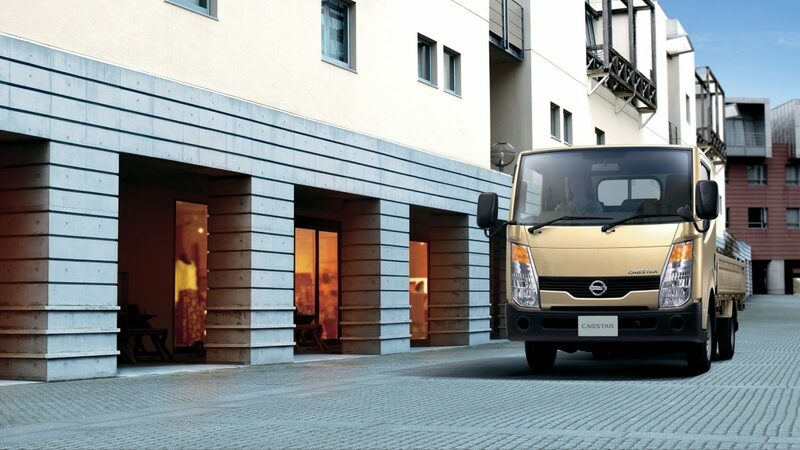 Making everyday work more comfortable, the Cabstar’s spacious cabin provides comfort and ample storage space, while superior small-radius turning performance and easy exit/entry maximize work efficiency. Large cabin space provides a comfortable environment. Both the height and depth of the cabin have been expanded, giving you more room above your head and more space below to stretch out your legs. 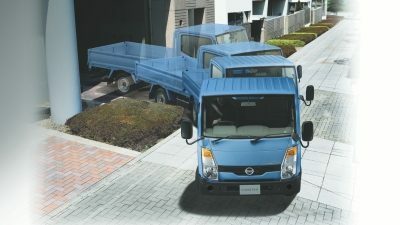 The steeply angled front pillars give you a wider view and better side visibility. Superior small-radius turning performance is a must in collection and delivery tasks where time is severely restricted. That’s why the Cabstar achieves a minimum turning radius of 4.4m that’s at the top of its class, while offering excellent manoeuvrability. 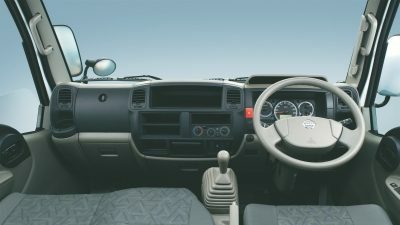 The driver-oriented design of the Cabstar is evident in its multi-purpose features such as temperature-controlled cup holders and an assortment of document trays. 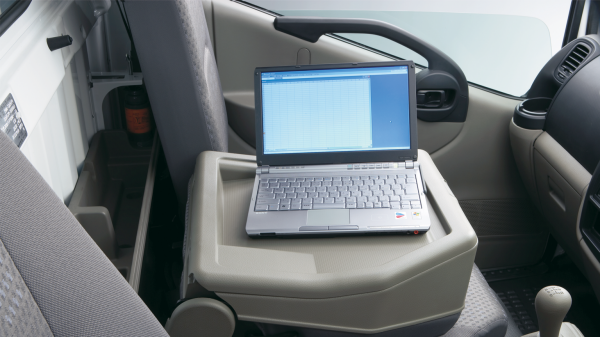 The Cabstar's centre seatback console lid covers a large storage box in which a laptop can be stored. The tray itself is perfect for putting your laptop on when you are using it. 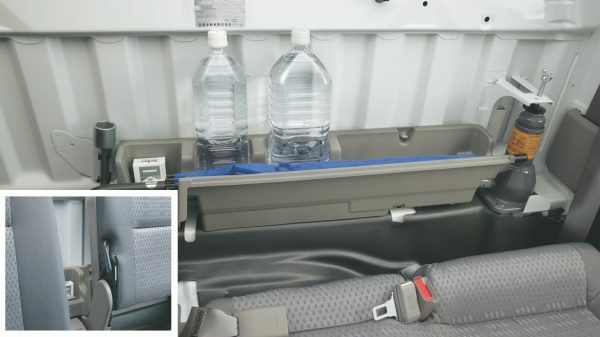 The Cabstar's multi-purpose box in the back of the cabin is perfect for storing things like umbrellas, flashlights, and larger plastic bottles. It can be accessed by simply reaching across the centre seat. 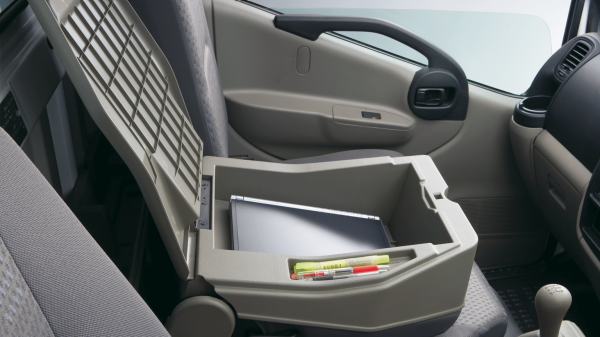 The centre seatback console, when opened, features a large storage box with a compartment for pens, perfect for storing documents and items required on the go. 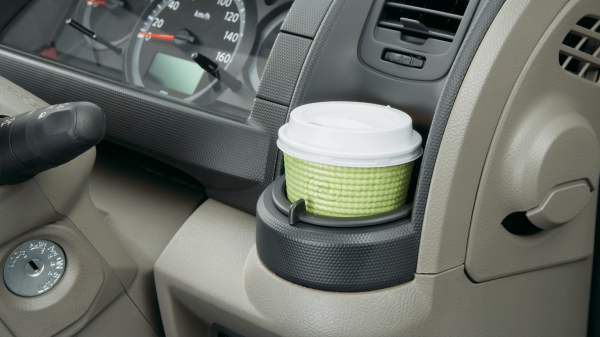 The cup holders are easy to reach from both the driver's seat and passenger seat. Airflow from the air-conditioning is sent to the insides of the holders to keep drinks cool. The airflow can be opened or closed by adjusting the ring. 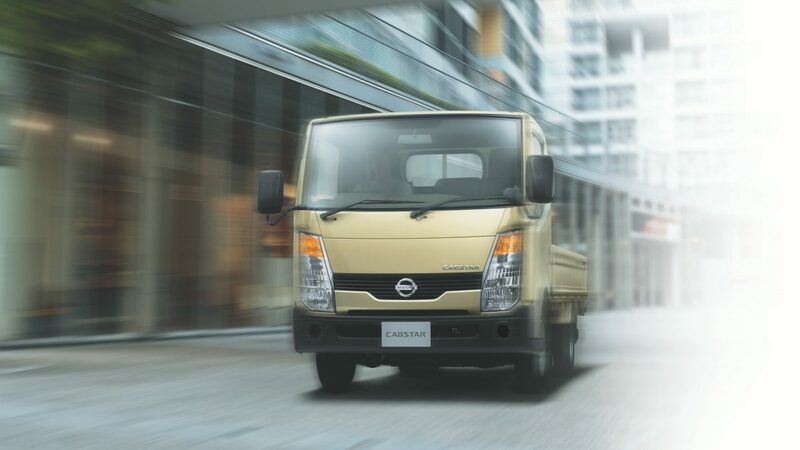 To provide each of our customers with a consistently high level of quality, we apply the same high quality standards worldwide – ensuring that all Nissan owners enjoy peace of mind during the lifespan of their vehicles.